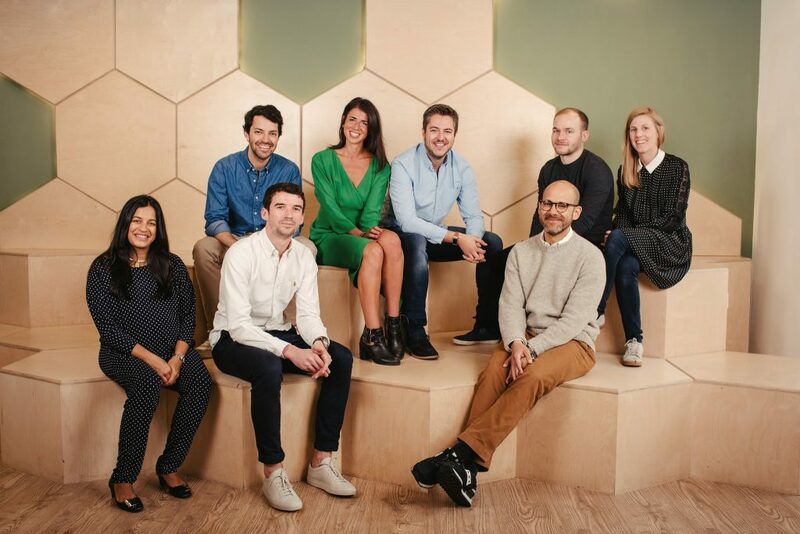 We are delighted to announce the final close of Fund IV at £60M in a heavily oversubscribed round and to welcome over 100 founders, mentors, angels, friends and supporters of Seedcamp as new investors. The final close includes contributions of £2M from founders across our 11-year history and an innovative collaboration with equity crowdfunding platform, Seedrs. We are thrilled to see so many founders we’ve backed along our journey now investing alongside us in the next generation of world-class entrepreneurial talent to come out of Europe. Founders backing Fund IV include the likes of Daniel Dines and Taavet Hinrikus from two of our unicorn companies – UiPath and TransferWise – and founders of acquired businesses MoveGuides, MyBuilder and Zemanta among many others. Seedcamp Fund IV is also supported by leading angel investors including Michael Pennington (Gumtree), Ed Wray (Betfair) and Barry Smith (Skyscanner). Other institutions backing Seedcamp Fund IV as part of the final close include Orange Digital Investments, Cachette Capital Management and MUFG. At £60M Fund IV is over 30x bigger than our first fund of $2.5M dating back to 2007. In just six months since the first close of Fund IV at £41M we have already made 15 new investments backing the likes of Factmata, Sweatcoin, Pace, Homie, Vantik, doctorly, StepLadder, Maze and Veratrak and intend to double that by the end of this year. In a pioneering move for both venture capital and equity crowdfunding space, Seedrs was chosen to raise a portion of Fund IV from the founders of Seedcamp-backed companies. Made possible by using Seedrs unique nominee structure, the feeder fund enables much smaller ticket investors to easily participate in the fund. This is the first time that a private equity marketplace platform such as Seedrs has helped a traditional fund this way. There’s so many learnings our future founders can take from the power of the Seedcamp Nation and we are confident we have the best possible team, investors and individuals assembled to champion and uncover breakout European businesses for the next decade and beyond. Thank you to everyone who’s supported us on our journey so far. We can’t wait for what’s to come next! 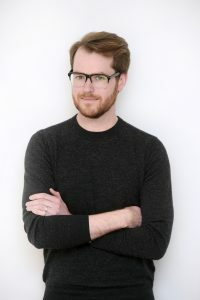 We’re delighted to welcome the brilliant Devin Hunt as our newest Venture Partner. As a designer, engineer and startup founder – on the founding teams of the likes of Lyst and Founder Centric – Devin knows what it takes to build a company from the ground-up. Following a stint in 2017 as part of our Expert in Residence program, Devin now joins the core team as Venture Partner and kicked off his new role by recently leading our inaugural Product Summit in collaboration with AWS. We sat down with Devin to get the low-down on his experience and what he’s most excited to work with our companies on. Devin, talk to us a bit about your background and how you first came into contact with Seedcamp? I started my first business almost by accident. Myself and longtime collaborator Rob Fitzpatrick had been kicking around an idea to launch a video game studio. Rob discovered Y Combinator and we put together a pitch. The YC partners tore apart our business plan, but ultimately decided to invest in us because our tech demos: they demonstrated we could execute. That business – Habit (née Fuzzwich) – landed me in London in 2008. At the time, the European startup scene was quite young, with only a few stable companies in the mix; like Moo and Last.fm. Being an open and vibrant community, I quickly got to know Seedcamp and the team there. If you had to pick a defining moment across your startup career, what would it be and why? When we decided to shut down my first company definitely stands out. Building Habit was an education in itself. Every month I had to learn a new job and execute it somewhat competently. During my time there, I went from being just a coder to a project manager, accountant, ad exec, and so on. Nothing prepared me for the varied roles my co-founders and I would have to shoulder. To be honest, many of these jobs were a result of poor organization, but you must become a polymath to run an early stage business. And with that, everything clicked. For us – the founders – the business was everything. But it also was just a business. No one was getting cheated out of millions of dollars. It was just an investment, among many. We gave our crazy idea an amazing shot, but it didn’t pan out. Time for the next one. In that meeting, I understood what it meant to “build” a startup. It was a lesson three years in the making, but it was a stupendous one. What are some of the things you’re going to be working on as Venture Partner? Alongside sourcing and helping Seedcamp with new deals, I’m working on two things. First, I’m mentoring new teams in the portfolio on product and strategy. Secondly – and much more exciting – I recently led a brand new event for Seedcamp called the Product Summit. The Product Summit is an annual event where leadership from across Seedcamp’s portfolio comes together to learn from world-class experts and each other. The first one happened on 14th of May and it was a huge success. It featured amazing speakers – like Jeff Veen (True Venture, Typekit, Adaptive Path) and Alice Newton-Rex (WorldRemit) – and great sessions from all the founders involved. What’s the best piece of design/product advice you could give an early-stage founder? It has two parts. First, you need to focus on doing one thing that delights your customer. Just one thing. And you need to keep working on it until what that one thing is so good, people now depend on it. This does not mean it has to be in their face 24/7, but your product has to fundamentally change some aspect of their lives, no matter how small it is. I stress one thing because far to many startups die because they try to do way too much, way too quickly. Finding that one thing can be deceptively hard. Secondly, you can not create these types of transformative products without learning everything about your audience and trying a plethora of approaches. Founders who have hundreds of conversations and use those conversations to drive hundreds of hacks, experiments, and prototypes have a much higher chance of creating that magical thing than those who hide away for 6 months, launch, and pray for success.